Become a fan! Follow on Pinterest! This month has been filled with making very large quilts! 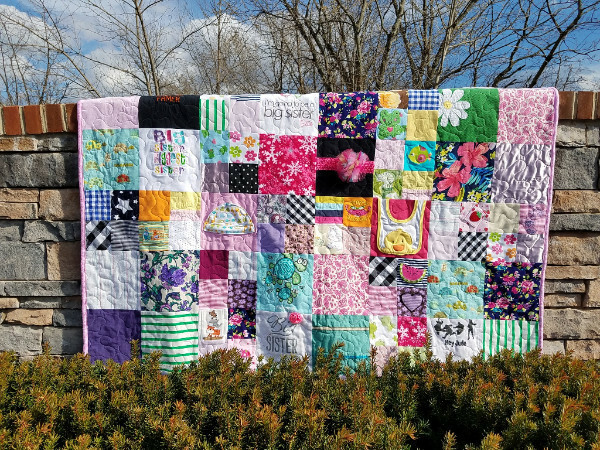 Many full size, queens, and large baby quilts have kept MQBM very busy! 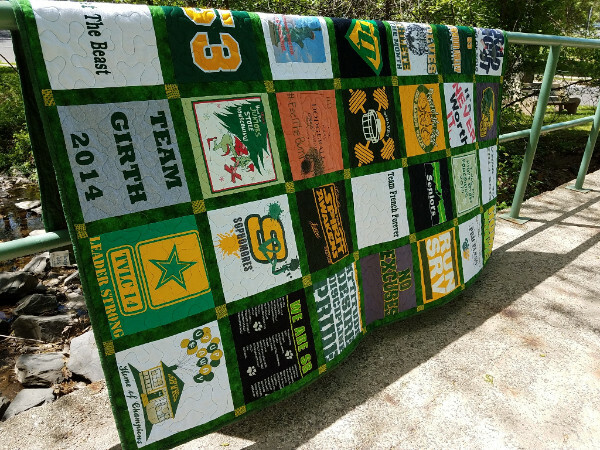 Lots of these quilts will be given as graduation gifts at graduation parties. 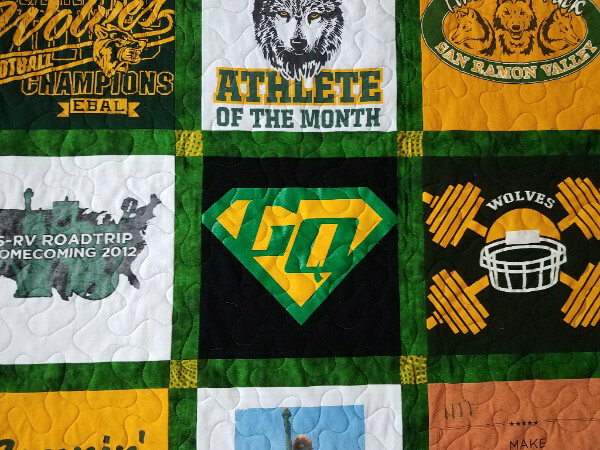 These one-of-a-kind, custom, handmade quilts are sure to please the graduate and the crowd! I have taken some of the quilts on a few photo field trips ;) I hope you enjoy the photos in this newsletter! 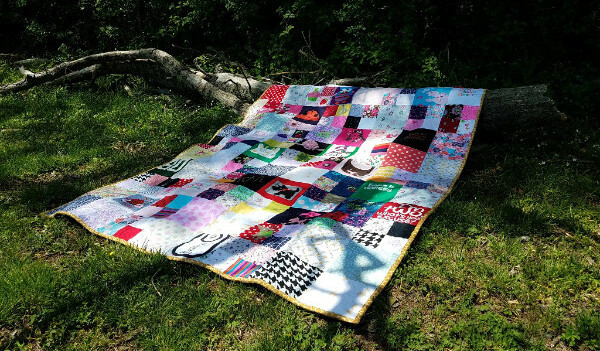 I am running out of places to take my quilts! 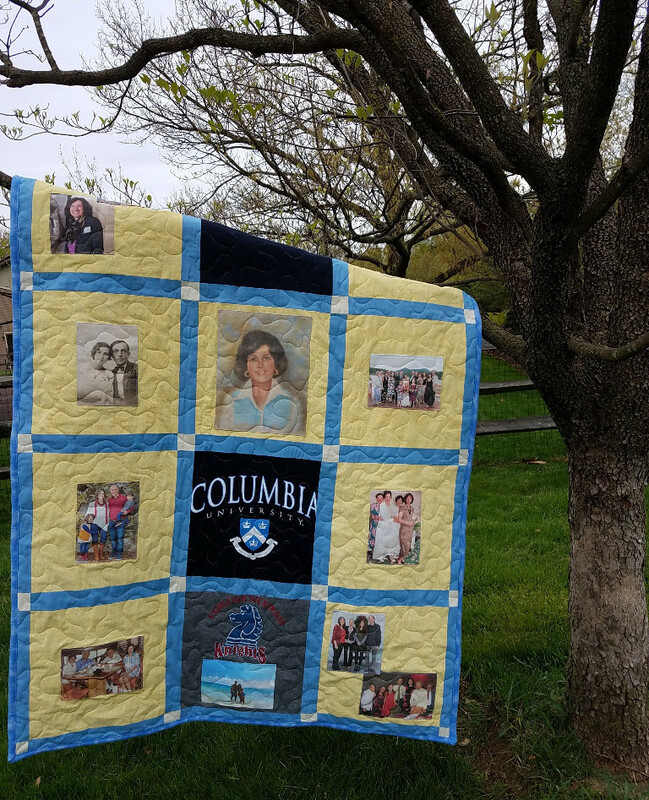 If you are interested in a Memory Quilt, for any occasion, please contact me ASAP so that I can add you to the list. 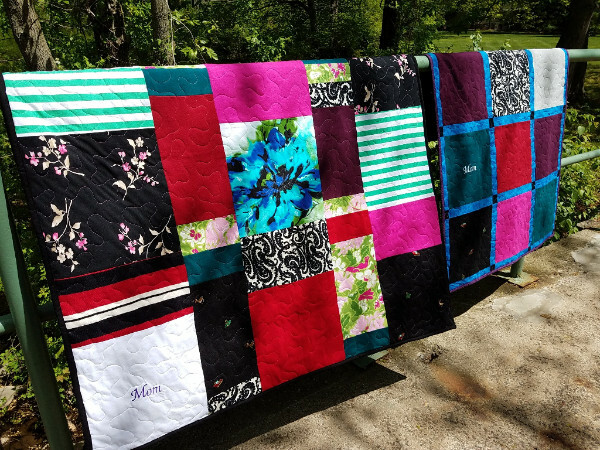 Currently, I have 16 quilts on my schedule. Turn around time is about 10-12 weeks. 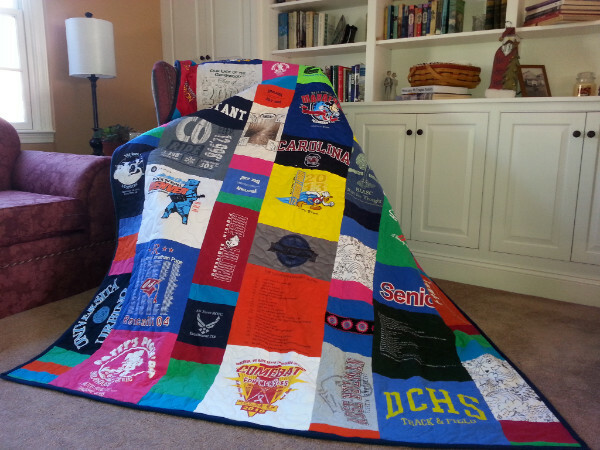 Grad quilts can still be made for mid to late summer grad parties or just in time to go off to college in August. Those of you who have Verizon email accounts will need to update MQBM with your new email address. If you don't do this, you will not receive my newsletters and any other sales information. 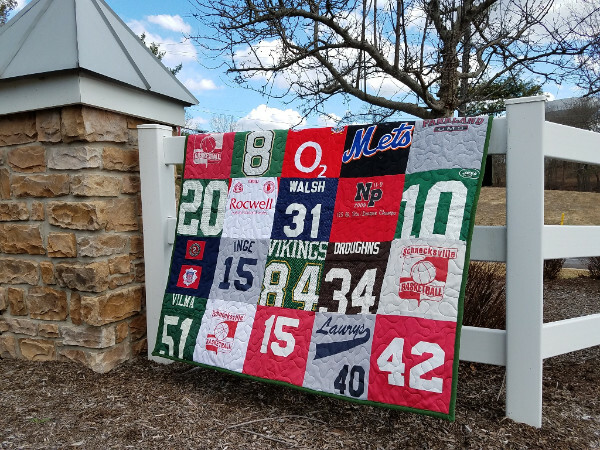 I have chosen this traditional style, full size Memory Quilt made for a California football player who is about to graduate from high school. 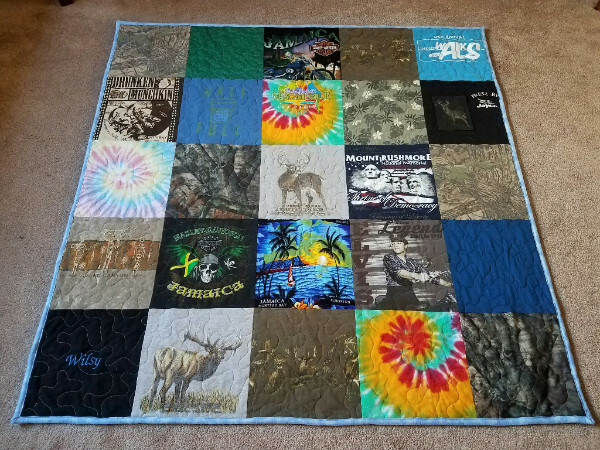 What a story this quilt tells! 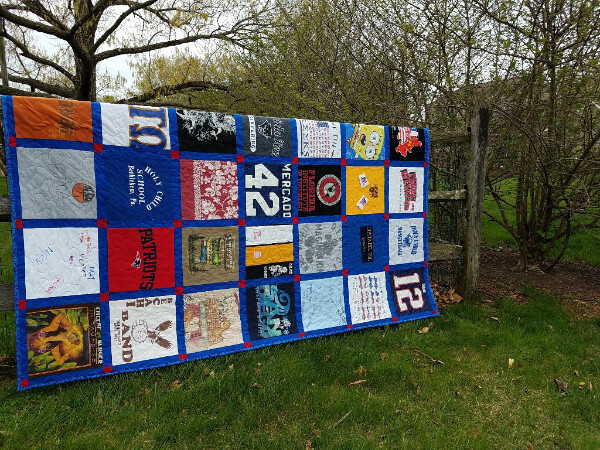 This quilt measures 85" by 95" and is full of football pride! 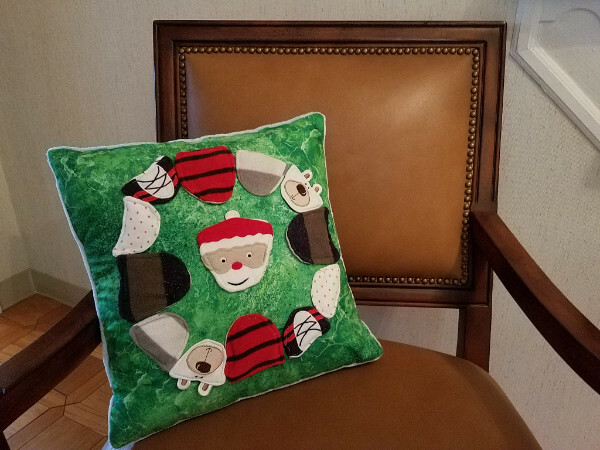 It is backed with a perfect green that was selected by the boy's grandmother! 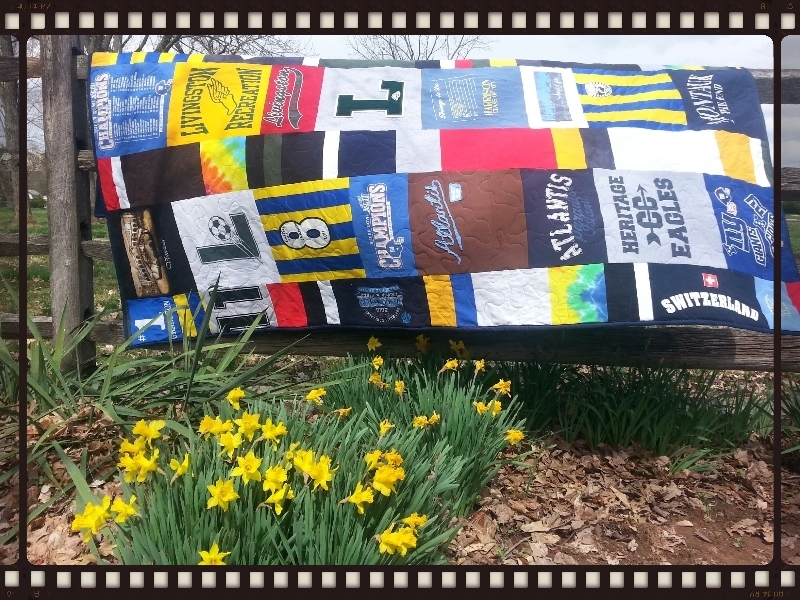 The quilt shown below was made for a graduate of my alma mater, Allentown Central Catholic High School! Go Vikings! Perfect for those extra-long dorm beds! That honor a mother gone too soon. Embroidery was added to make these quilts that much more special. Love how they turned out so different yet so beautiful! 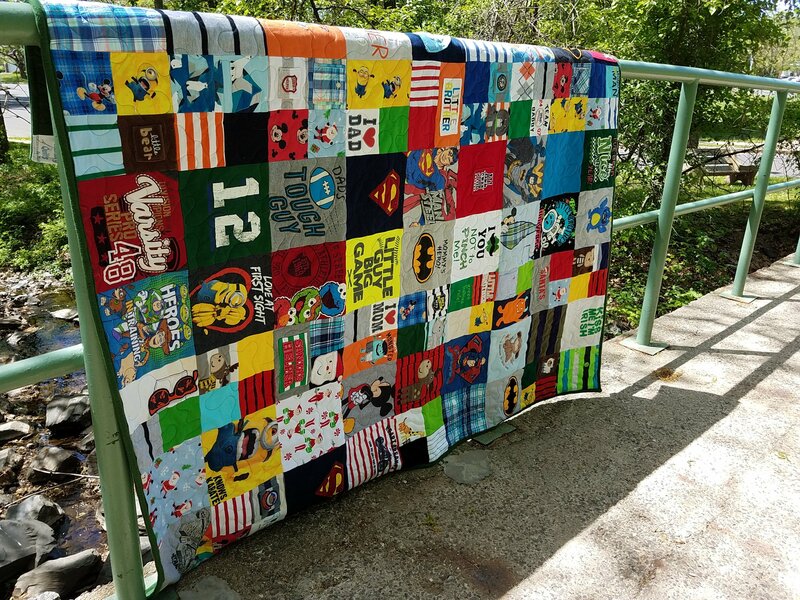 MQBM has made 3 large baby quilts this month-all in the modern style. But each ones tells a different yet beautiful story. 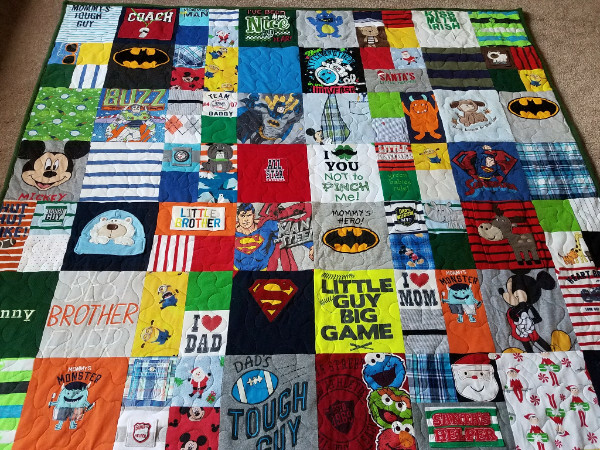 There are many hours devoted to these precious quilts! 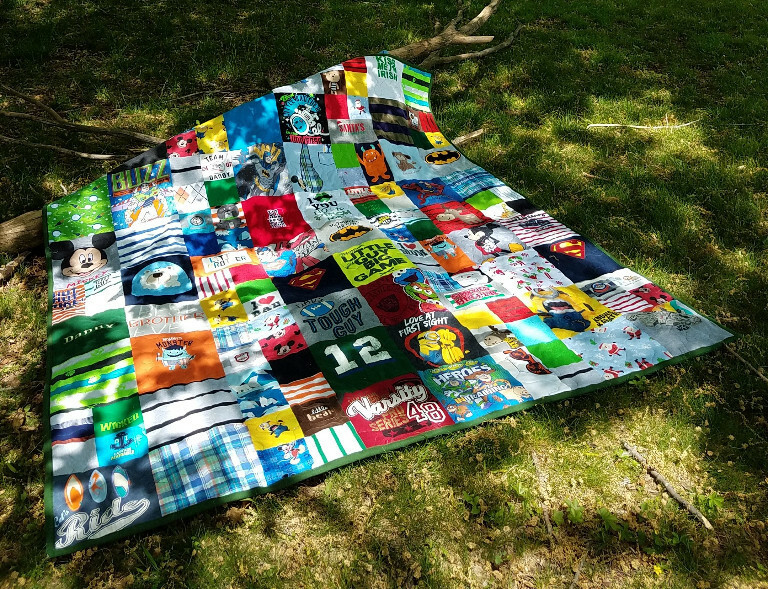 Baby Quilts take a long time to make, but turn out gorgeous. All three of these quilts are big enough to fit on twin beds. 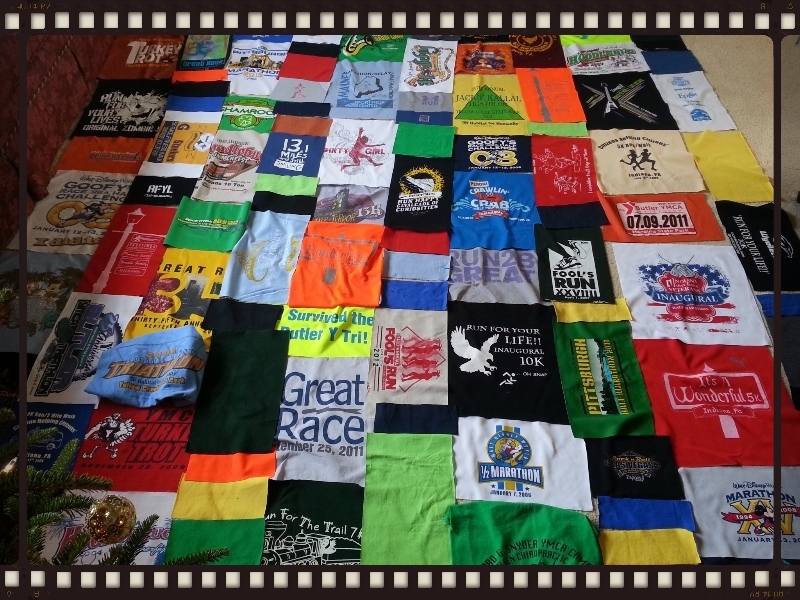 What sets me apart from other t-shirt quilters is how I include you, the customer, in the design phase of the quilt. This takes time, but is worth it. I like having your input in the quilt design. 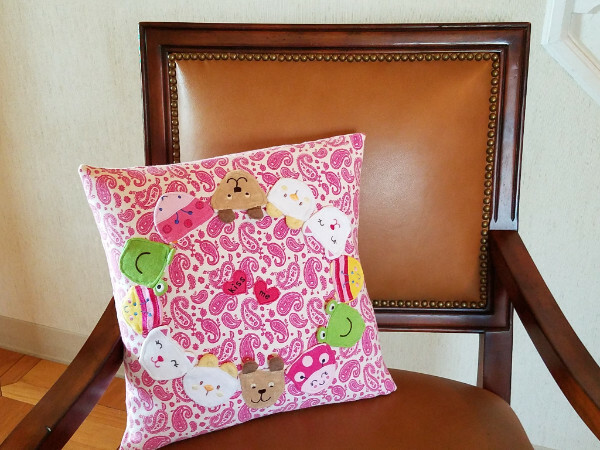 Once I begin your quilt, you receive several emails with pictures of the quilt layout. 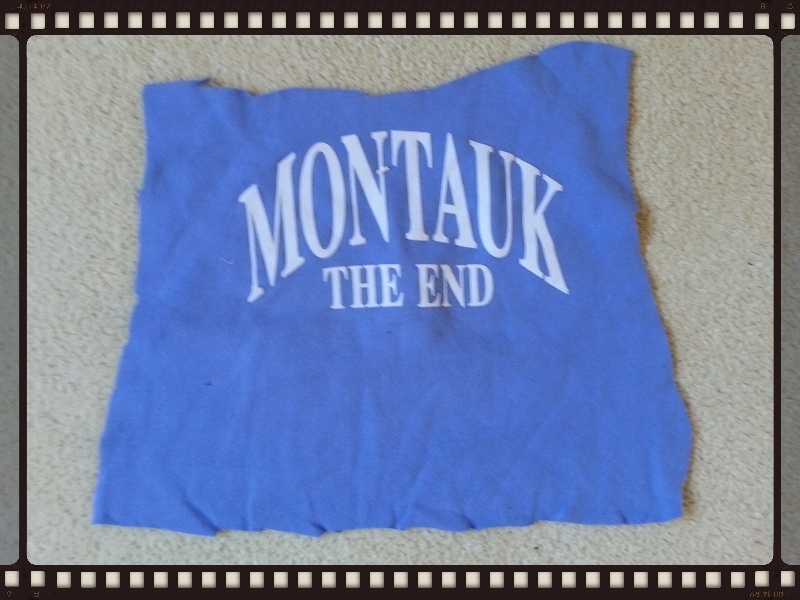 The picture shown below to the left is an initial layout of shirts, the picture to the right is the layout in block form. 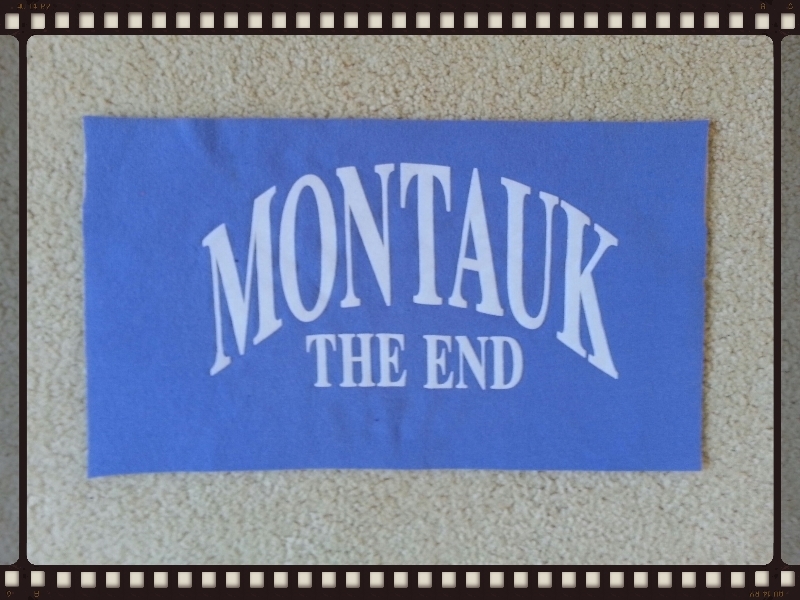 These are emailed to you for your input. 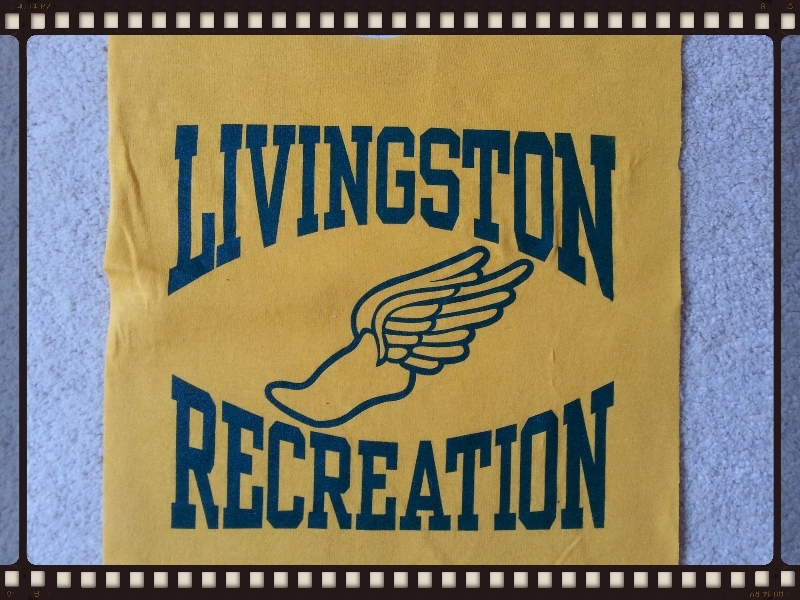 This process gives you an opportunity to change the position of the shirts and the overall look of the quilt. No sewing is done until you sign off on the layout. There are no surprises here at MQBM and this communication and effort ensures that you get the quilt that you always envisioned! I have a love/hate relationship with photo quilts. I love the way they turn out, but they are incredibly difficult and expensive to make. But the end result of this quilt could not have come out better. 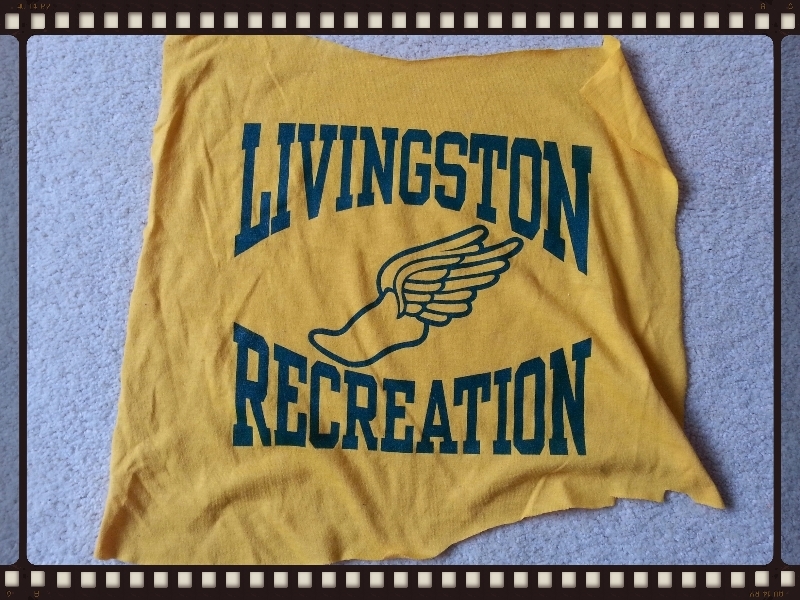 The pictures tell the story, but so do the three school shirts that this very special godmother attended or worked at. What a special birthday present! The images on the left were cut by a customer with good intentions, the images on the right were cut by me with the quilt design in mind. 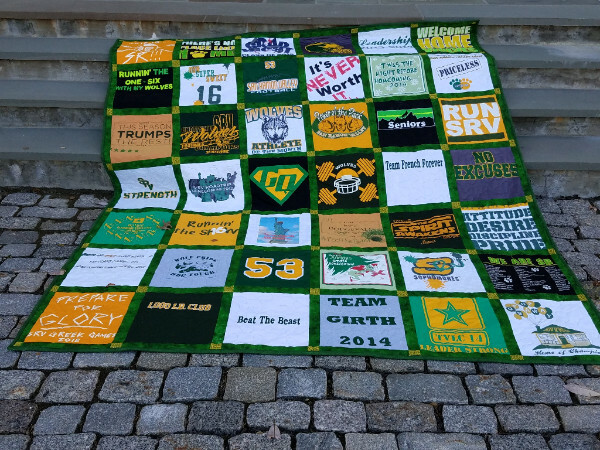 What a great graduation gift for a very special young man! 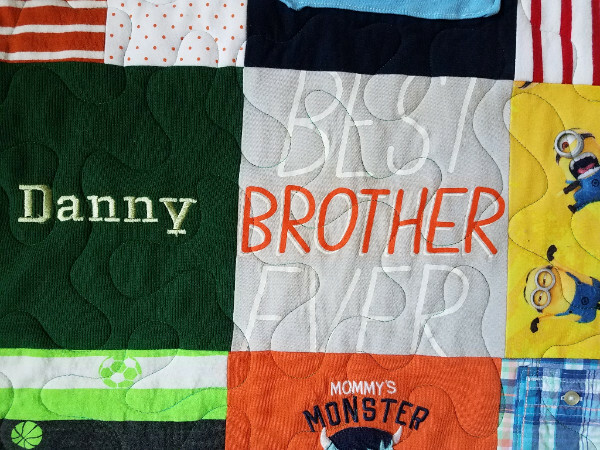 Kudos to the mom for keeping the many precious items seen in this quilt. 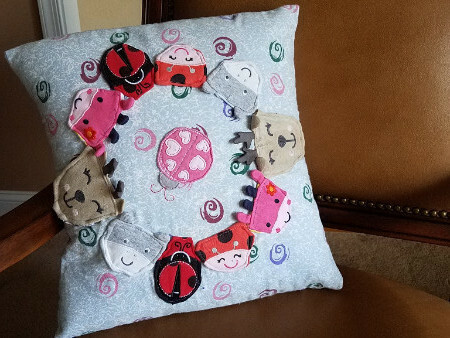 Are simply adorable and a perfect way to use the precious footsies from the baby quilts! 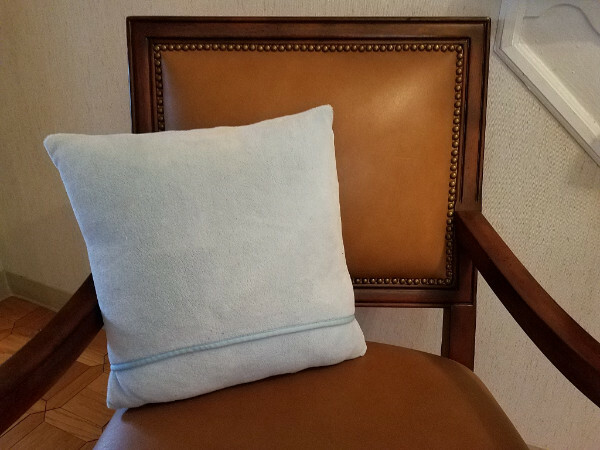 The envelope style back is used so that the pillow top is easily removed and washable.